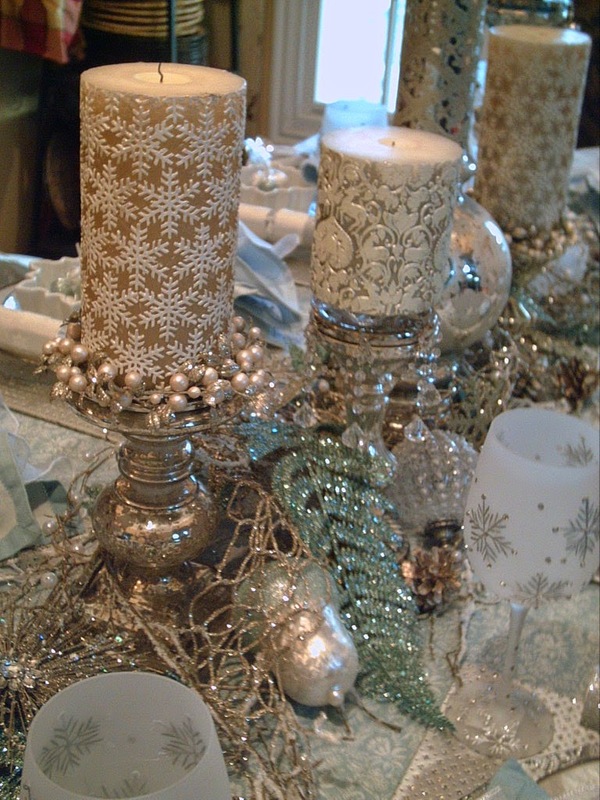 I used a mix of 5 different Mercury Glass Candle Holders. Blending a variety of bobeche's and candle rings around the candles. 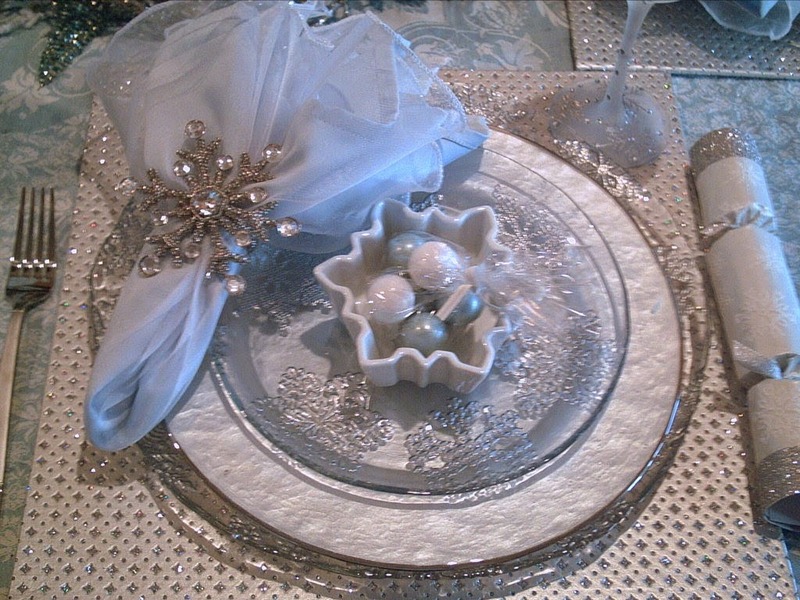 Each place setting has a clear glass with silver snowflakes charger plate sitting on top of a silver bling placemat. 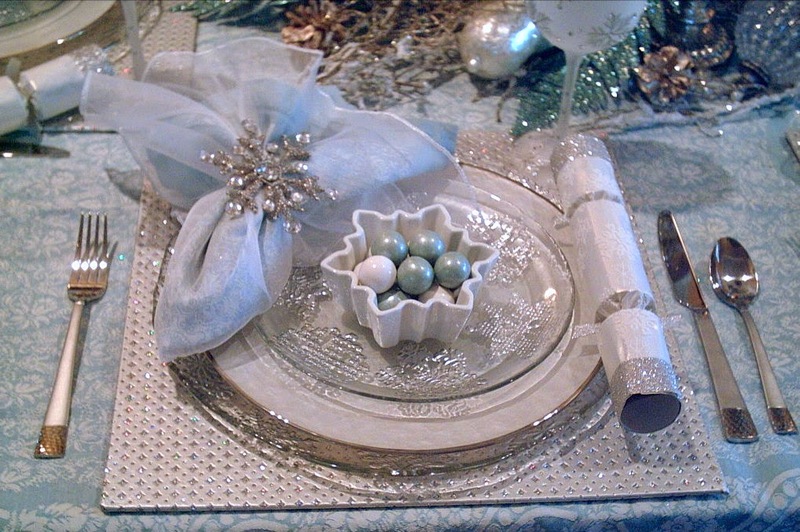 The dinner plate is a creamy white pearlescent plate. 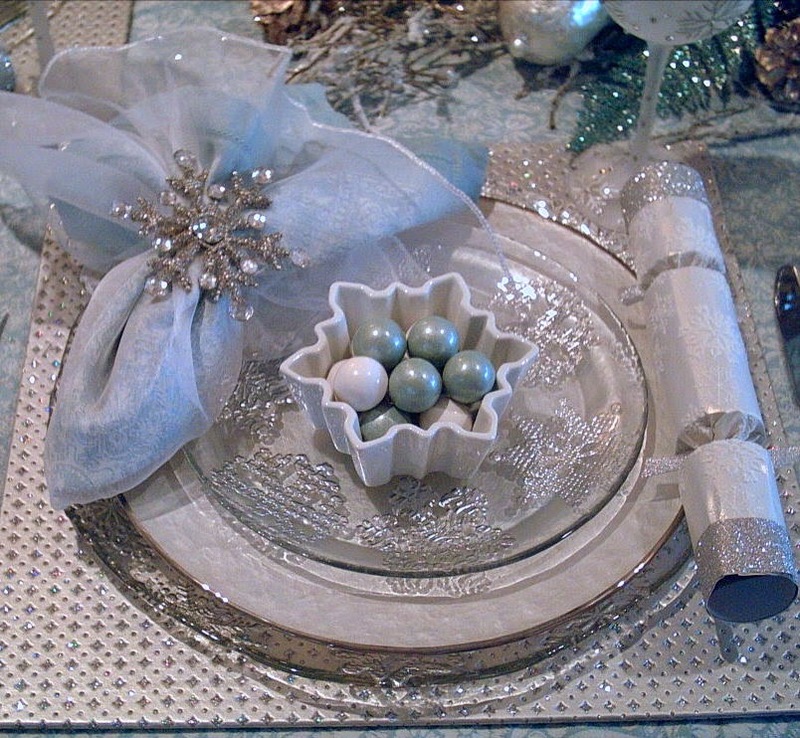 A silver snowflake salad plate and ending with a ceramic snowflake bowl. 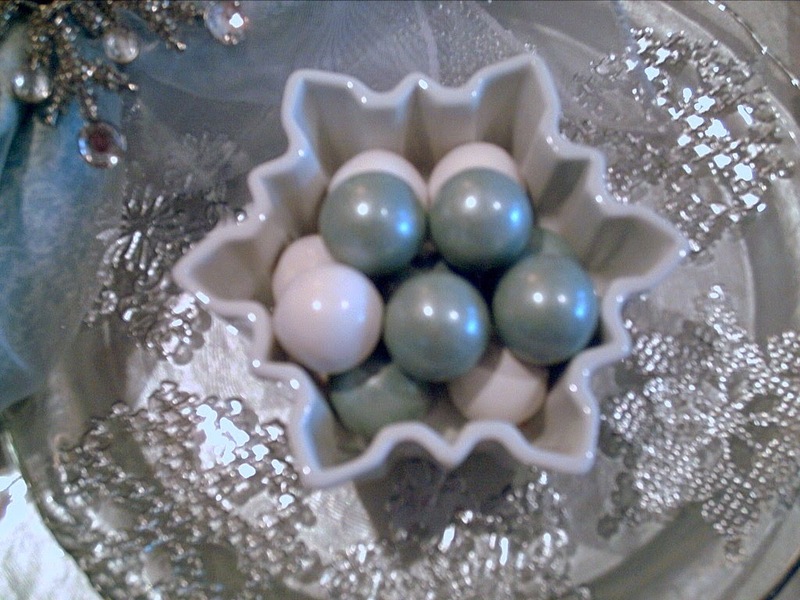 Filled with silvery-blue and white malt balls. They are in a gift bag at each place but for this photo they are out of their gift bag. 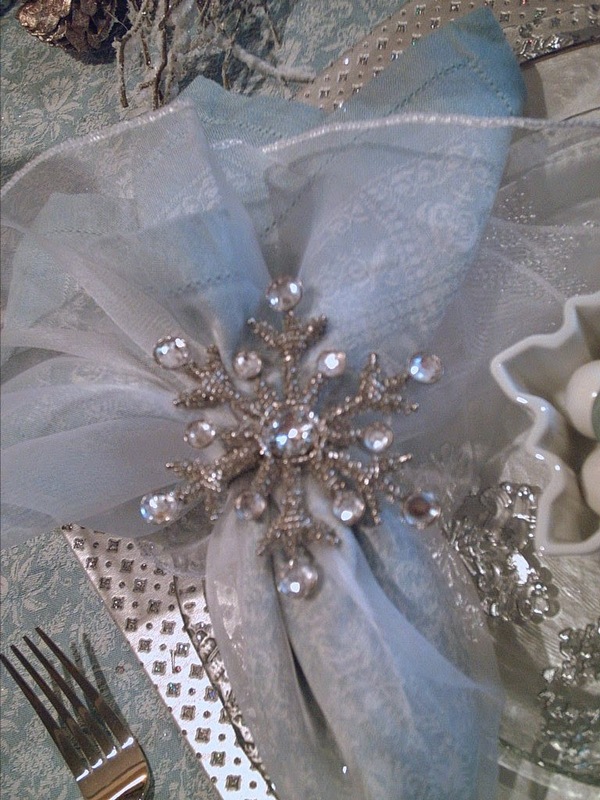 Again as one of my favorites, a silver with embossed snowflake Christmas Cracker Popper. 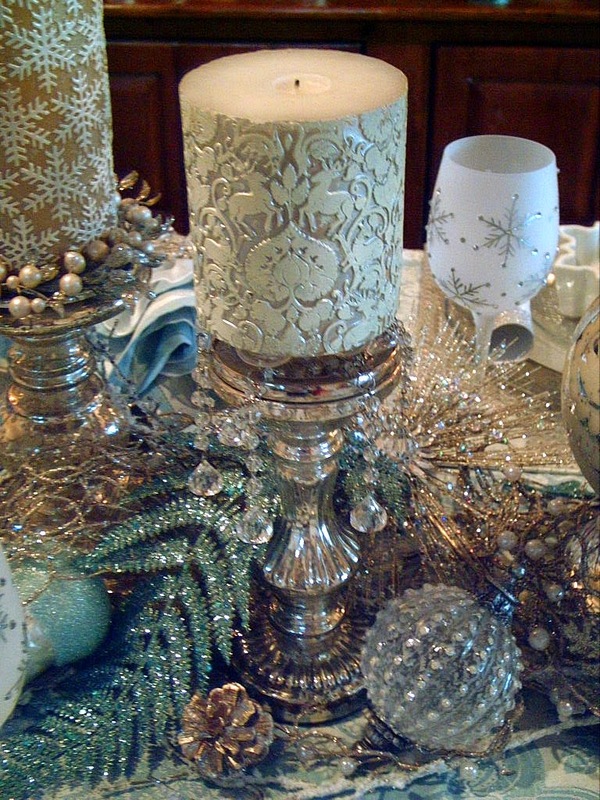 The centerpiece florals are some silvery frosted branches. Silver woven garland. 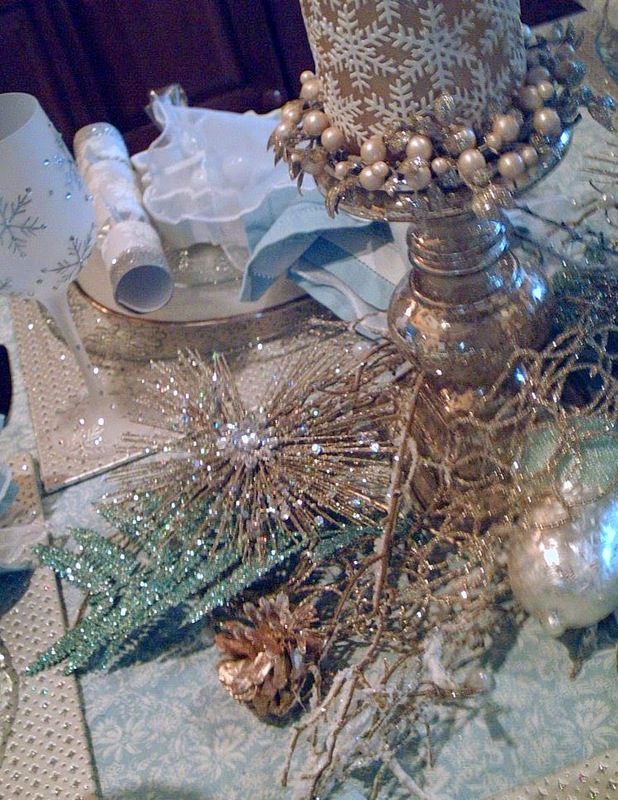 Blue glittery ferns and a few silver and blue ornaments scattered throughout. The napkins are doubled. The linen blue and cream matches the tablecloth. 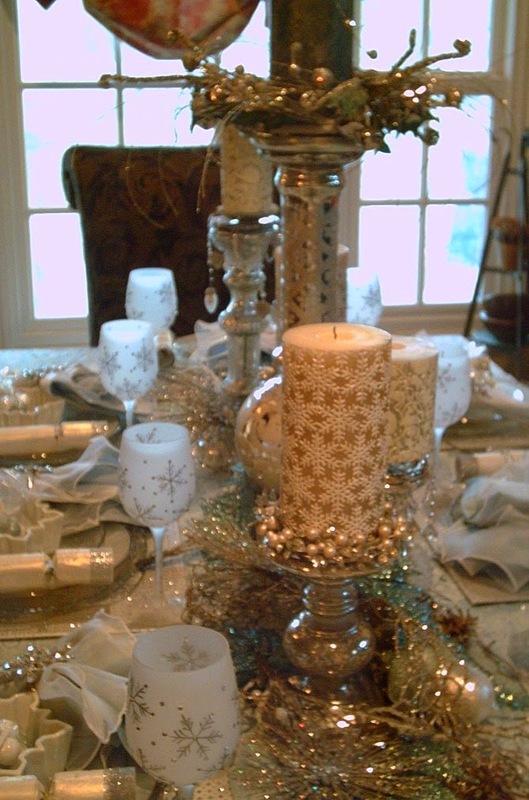 The sheer white over top with a jeweled napkin ring from Pier One. 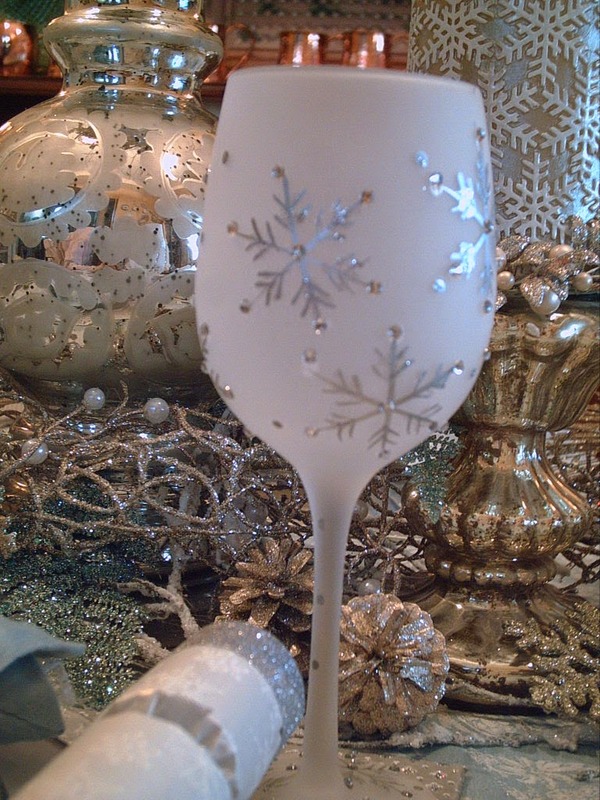 Goblets are jeweled. I think they are stunning but very delicate. Won't be using them too often! Candles are from Pottery Barn. I have used 3 different candle designs.. I tried doing them all the same but liked this look. The center candle looks gray in the photo but it is a finish of Mercury Glass. that matches the candle holders so well. Sold at Pottery Barn a couple of years ago. I love comments! Thanks for looking. Merry Christmas! Absolutely beautiful! I look forward to your posts!!! How pretty!! 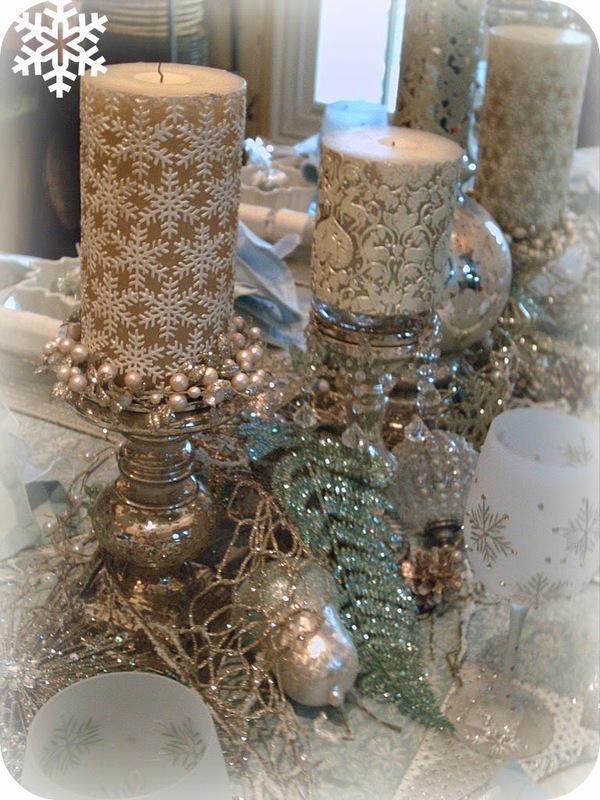 I especially like the stemware and the candles. 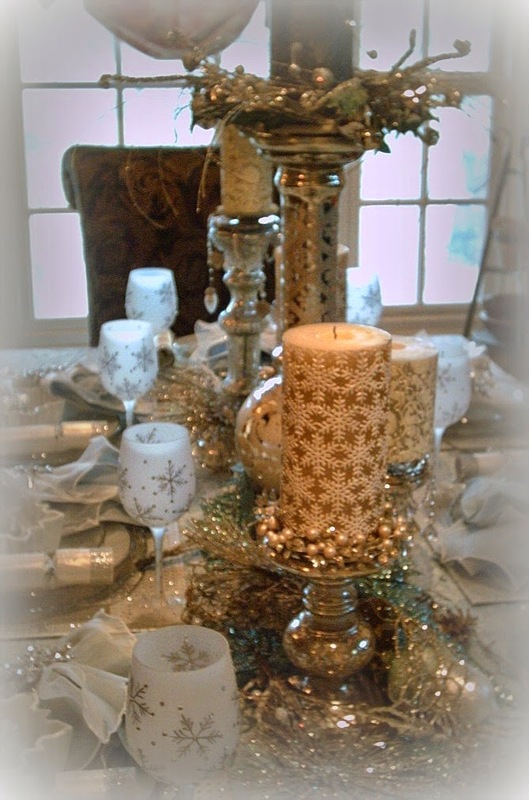 I have no silver in my home, so I always enjoy seeing it during the holidays!